Snap in Dentures: Scuba diving paradise. 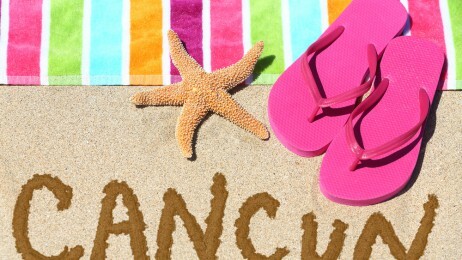 One of the world’s top famous tourist destinations in Mexico, is Cancun. And it’s a well deserved fame… with it’s white sand and crystal clear water, fun activities for visitor of all ages and captivating entertainment, world class resorts and plenty of other attractions Cancun is the perfect spot for amazing and relaxing vacations. We had a visit from our patient Cheryl, from Georgia, who came to Cancun with her husband Robert to have some Snap in Dentures done. Cheryl had bad experiences with dentists in the past and this is why when she was younger she was afraid of dentists. Even then, she was firm in her desire to get better teeth and paid a visit to two other dentist before us. She felt they had done a terrible job so her husband looked for another alternative and found our clinic in the internet. They decided to give it a shot, even though they almost expect the same result. They were simply delighted with the hospitality and care from our staff and Doctor German Arzate. 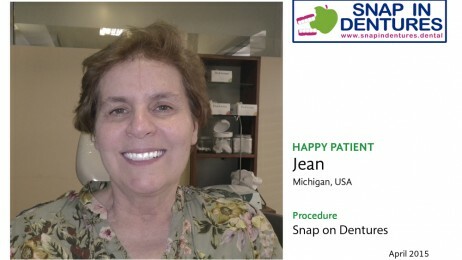 We want to thank our dear patient Jean from Michigan who trusted us to help her with Snap in Dentures. She came to the beautiful beaches in Cancun to get the procedure done under the supervision of Doctor German Arzate. Her previous dental works had been unsuccessful leaving her with lots of pain. Looking for her options on the internet, she came across with information about our services and got in contact with us. Jean is a brave and strong woman who wanted to look and feel better for herself. This was just the first step to an improved lifestyle.